In recent years, Google search results pages have undergone many changes: the classic pages with ten blue links have given way to rather complex structures with contextual advertising and native Google services. 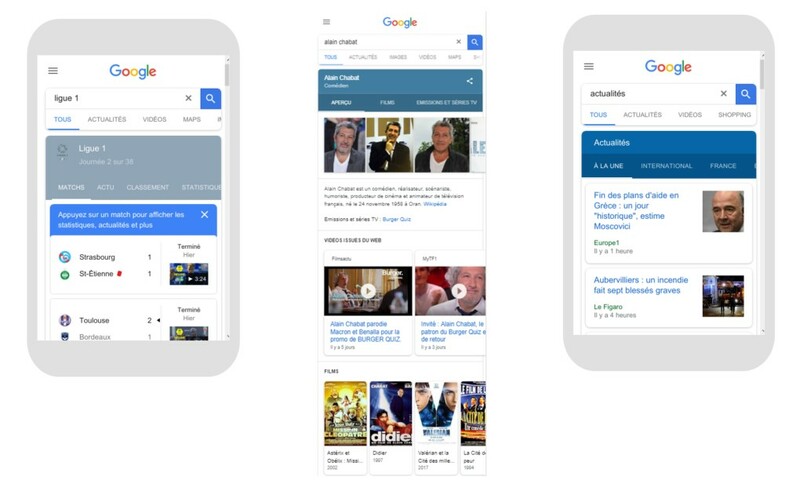 A variety of formats (knowledge graph, AMP, quick answers, live broadcasts, “searches related to” etc.) are intermingled with each other to offer a user the best solution. At the same time, we are witnessing the coexistence (with a certain degree of competition) of the two platforms — mobile and desktop. Each of them has its own characteristics. For example, the AMP format and the peculiar representation of the extended snippets on mobile. In early 2018, we conceived this study to better understand the users’ behavior on the Google search results pages; we tried to figure out how they used the search results on different devices considering intentions and fields of activity. We hope that the obtained results will be helpful to everyone whose professional activities concern Google search. 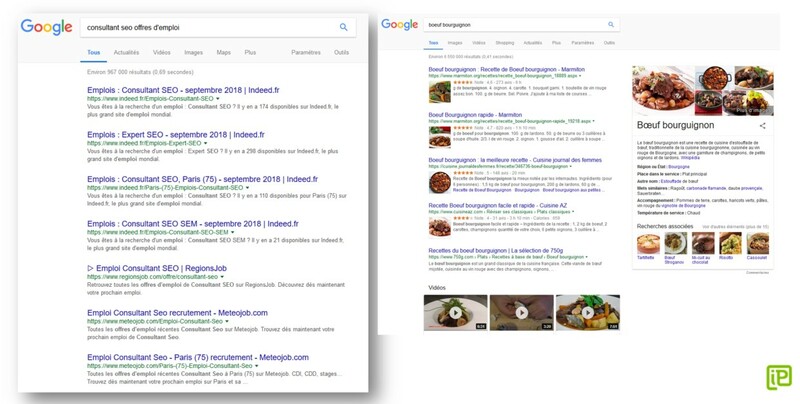 The main objective is to get the relevant picture of the users’ behavior on Google search results pages in France. How does CTR change for desktop and mobile devices? How does CTR change for different types of sites? How does the query length affect CTR? When should you fight for the top 3? In what cases just ranking on the first page is enough? What is the clicks distribution on the first page of the Google search results? What is the visibility of the second page of search results? How do other types of results affect the CTR of organic search results? What is the clicks’ share of the organic search results? The key element of the research is the search queries base. The base should be extensive enough to provide a high level of statistical confidence, especially when it comes to the results in the samples. 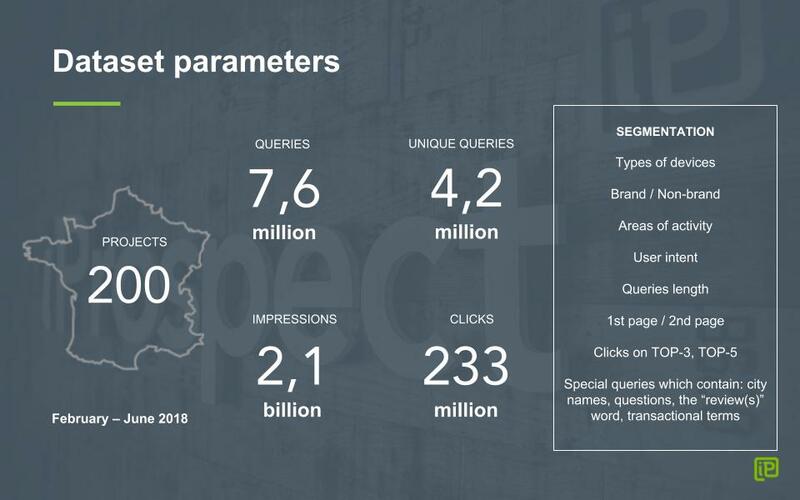 To create a sample, we selected 200 iProspect France projects to cover as many types of sites and areas of activity as possible. All the clients gave consent for their data processing provided that all information is anonymized. We unloaded all search queries from the Google Search Console for the period from February to June 2018 inclusive for every project. As a result, we obtained data on 7.6 million search queries, 4.2 million of which are unique. These requests accounted for 2.1 billion impressions and 233 million clicks. We selected only requests from France for our research. Having collected the data, we proceeded to the database segmentation to obtain detailed results on device types, queries, user intents, query length, etc. To count the CTR values for each segment, we grouped the search queries by Google’s rounded position and calculated the median CTR value suggested by the Google Search Console. Among the possible CTR calculation methods, we have chosen this one because it reduces the influence of the frequent queries and gives more weight to their diversity. Each CTR study is individual, since the set of sites, their types and sizes are individual. The results of your projects may differ from ours. The data were collected for a period from February 2018 to June 2018 inclusive. The obtained results may not consider some important seasonal features, e.g., the analyzed data set does not include the World Cup and seasonal sales. The study is based on data collected by the Google Search Console. Therefore, we believe they are accurate and reliable. Relying on the Google Search Console data, we also take into account ways of calculating impressions, clicks and the average position peculiar to the tool. Before proceeding to the results analysis, let us show you the first and the most important division of search queries: brand and non-brand queries. A brand query is a search query from a user who intentionally searches for this particular site. Brand queries include either a website address (partially or completely) or a brand name (sometimes it doesn't coincide with the domain name). This type of request is called Website Queries in Google terminology. Website Queries are requests closely related to a specific website or page. We will further discuss only non-brand queries. Commercial sites are aimed to complete transactions: via the shopping cart, feedback form or just a phone call. 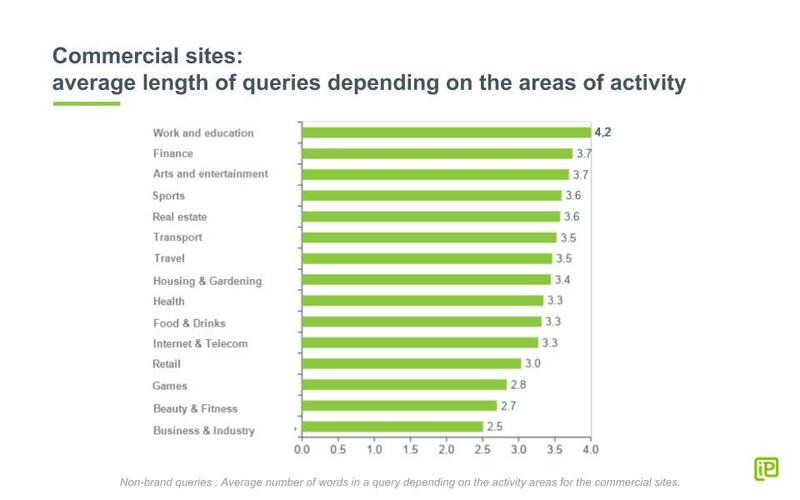 Commercial queries are valuable both for business and for the search engine. Since a user who enters such a request is ready to pay, the search engine doesn’t lose the opportunity to get the most benefit enriching organic results with items from its commercial platforms: Google Ads, Google Shopping, hotel/flights selection services, etc. CTR value for desktop devices is higher than that for mobile devices. The share of clicks on the first position is quite low. First three results get 54-59% of clicks. First five results get 70-77% of clicks. In total, organic results on mobile devices get 70% of clicks, and organic results on desktop devices get 80% of clicks (the rest are clicks on paid results or searches without clicks). Before making a purchase, many users prefer to read the reviews first. We have divided all commercial requests into two groups: with the "review(s)" word and without it. The term "review(s)" significantly increases the CTR of all positions on the first page (especially the first five). The CTR amount on the first page reaches almost 200%, which means that users tend to click on several results during a session. Even if your site holds a penultimate position on the first page of the search results, you can count on ~ 12% of clicks. Global trend: the longer the request is, the higher the CTR values and the more clicks are received by the results in the tenth position. We also decided to check how the average length of the requests changed depending on whether the requests were typed on mobile or desktop devices. Commercial sites are heterogeneous in nature; therefore it is important to analyze CTR in different niches. Each niche has its own clicks distribution on the first pages of search results. There are some cases when the weight of the first position is less obvious, and the clicks are evenly distributed along the entire list of search results on the page (e.g., “Real Estate” and “Housing and Gardening” niches). In other cases, the first position is clearly distinguished, and the results CTR can easily reach 40%. So far we have talked only about the first page of search results. But what about the next one? Is it true that the best place to hide a corpse is Google’s second page? When it comes to commercial topics, search results hardly consist of the organic results only. 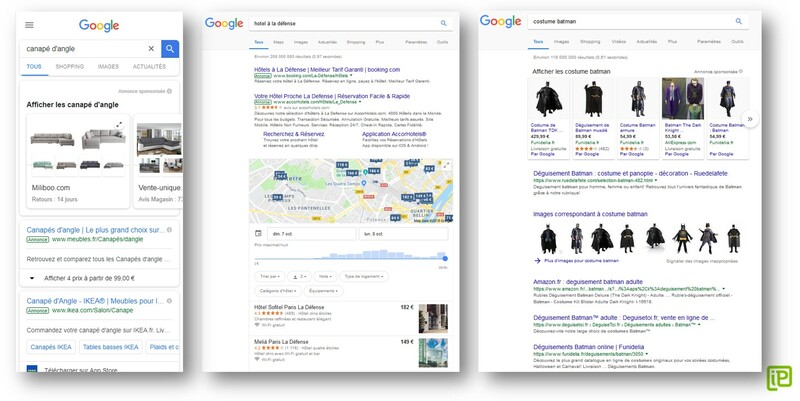 We compared how the first position CTR changed if the results of another type preceded it: Google Shopping, Adwords, Local Pack, pictures, Feature Snippet (quick response). Unlike commercial sites, media do not experience significant pressure from paid results. At the same time, they must confront other (no less dangerous) challenges from Google - ready-made answers that unfold in a wider range of requests. The essential question for all media publications is how to continue driving users from Google when the search offers ready-made answers itself? Another feature is the variety of organic results: Google News, Video, AMP, live broadcasts, knowledge graphs, quick answers. Each of them is a separate point of contact with the audience and an optimization vector. Finally, the very nature of search queries differs. Most of them are so-called QDF queries (“query deserves freshness”). That is, there are queries which, according to the search engine rules, require fresh information. So we get the search results which vary within a day. CTR value for desktop devices is higher than that for mobile ones. The share of clicks on the first position is high. First three results get 65-74% of clicks. First five results get 78-89% of clicks. In total, organic results on mobile devices get 70% of clicks, and organic results on desktop devices get 90% of clicks. Users tend to click on multiple results rather than on just one. The CTR of mobile devices is higher than the CTR of the desktop ones. The difference in the CTR of mobile and desktop devices is clearly seen among the first four results on the search page. The second Google search page on mobile devices is almost invisible. 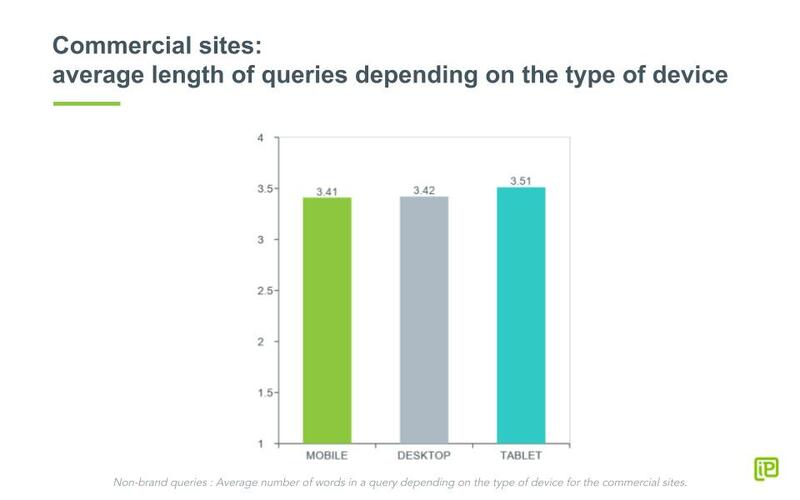 The trend is similar to commercial sites: the longer the request, the higher the CTR. The category of sites-classifieds includes bulletin boards, sites with vacancies, recipes — all that can be clearly referred neither to commercial nor informational sites. They are also united by the same dominant user intention — to choose. The search results of classifieds are hardly affected by paid results. When comparing the clicks distribution among classifieds and commercial sites, higher rates of CTR are apparent. - for other positions, CTR of the desktop devices is higher. We have singled out the websites of government entities as a separate category. They combine state sites, sites of various associations, official portals with legal information. Requests of this type mean that there is the basic need to "get information." But unlike the news sites, they provide a deeper and thoughtful study of the topic. The search results are quite homogeneous and hardly affected by paid ads. The exceptions are only a few groups of requests related to the commercial sectors (for example, house lending legal acts, etc.). Since we are talking about the official sites, one and the same site may occupy several positions. This affects the users’ behavior. "Get information" intent is often mixed with another one — to find the data. 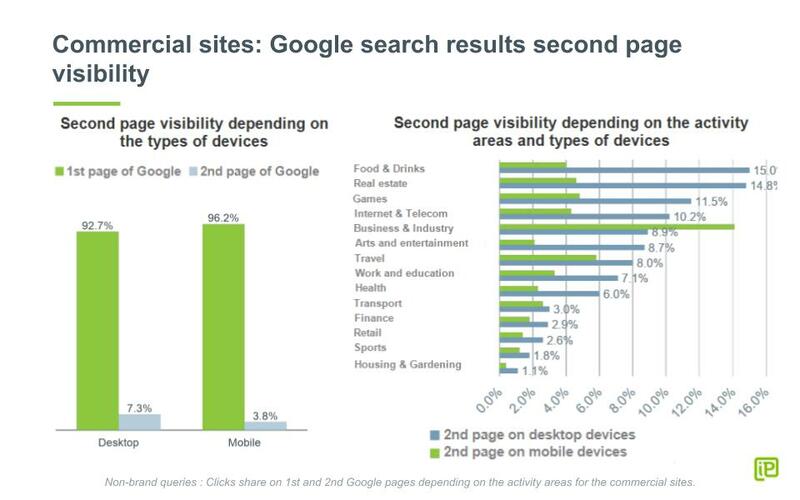 We get very high CTR value on the first position, results on mobile devices get 70% of clicks. The CTR of mobile devices is higher than that of the desktop. First three results get 79% of clicks. First five results get 92% of clicks. Data on the clicks distribution on the Google search results page allow you to better understand how users behave after typing a query, to more accurately assess the percentage of the audience that can be obtained and to more properly allocate the search promotion efforts. CTR is an indicator that is very sensitive to the site type and the area of activity. Do not rely on global figures only — this is like the average temperature in the hospital. Analyzing the features of CTR, use the values close to the specifics of your project. We recommend you not focusing on definite numbers, — they always depend on the set of analyzed sites and queries collected in a case study. It is more important to understand the trends, what is behind them, how to use them. If you have any questions, let’s discuss them in the comments.